Nearly 30 million people in the United States alone have diabetes. That is around 10 percent of the population. With so many people suffering from the disease, it is important to know what it is, how it occurs and what you might be able to do to lower your risk. Even if you do not develop the disease, there is a good change that someone close to you is going to have it. The more knowledge you have about the disease, the better off you will be. The pancreas is an organ in the human body, located just behind the stomach. It produces insulin, a hormone that helps the body maintain stable blood sugar levels. When this organ has problems and stops functioning properly, you can have problems with your digestion process. The insulin is a very important part of digestion, and it helps the sugars from the food that we eat get to the cells in the body. Without proper insulin production, you can have quite a few health problems. When you hear people talking about diabetes, you will often hear them refer to Type 1 diabetes and Type 2. While the effects can be similar, Type 1 and Type 2 diabetes really are quite different. Those who have Type 1 diabetes have a rare condition caused by problems with the body's internal immune system. The system actual damages the pancreas in this case and that causes the levels of insulin to drop off to very dangerous levels. While this condition is rare, it is the more serious of the two. Because the insulin production is so low, the cells of the body can starve. You will need to take insulin in order to survive, and it is very important to monitor your blood sugar levels. Type 2 diabetes is the result of poor lifestyle choices. The consumption of high amounts of sugars, carbohydrates, dairy and other animal products can be the root cause. Fortunately, this is preventable and in many cases, it can be reversible. When someone has Type 2 diabetes, their pancreas doesn't produce enough insulin, or the insulin they are producing does not work properly. The unabsorbed and unused sugars in the blood, instead of going to the cells, cause problems in the blood, the kidneys and the liver. 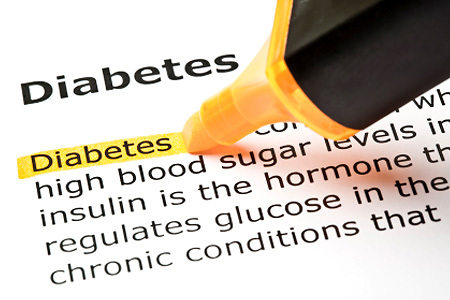 Diabetes is a serious disease whether you have Type 1 or Type 2. You need to make sure that you speak with your doctor to get the proper information on dealing with your diabetes. In some cases, it will involve only changes to the diet and monitoring of your blood sugar levels. In other cases, you will have to take shots of insulin in order to balance your blood sugar. Those who fear that they are at risk of developing diabetes should start taking steps now to lower their risk. Proper diet and exercise can help you lower the chance of developing diabetes, and they can help to reduce other physical and medical problems as well.